There have been ups and downs here over the last couple of weeks. 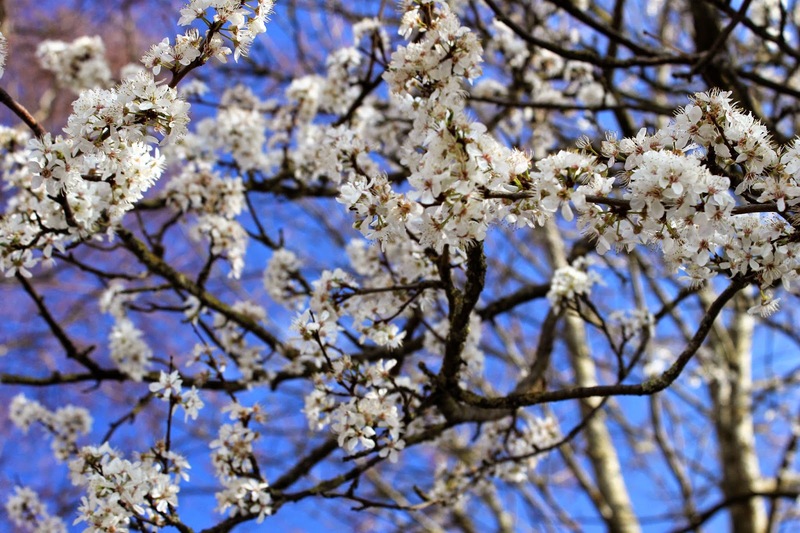 Spring has truly arrived, which is such a relief after the cold and drizzle of winter. This photo was taken in the town of Brecon in the Brecon Beacons in Wales at the weekend. It was gorgeously sunny and it was lovely to just wander, popping into shops, drinking tea etc. The weekend before last we went to Norwich to visit my family. My little sister was coming back from India where she had been teaching in a village school. I hadn't been to Norwich since Christmas so it was really great to catch up with everyyone. 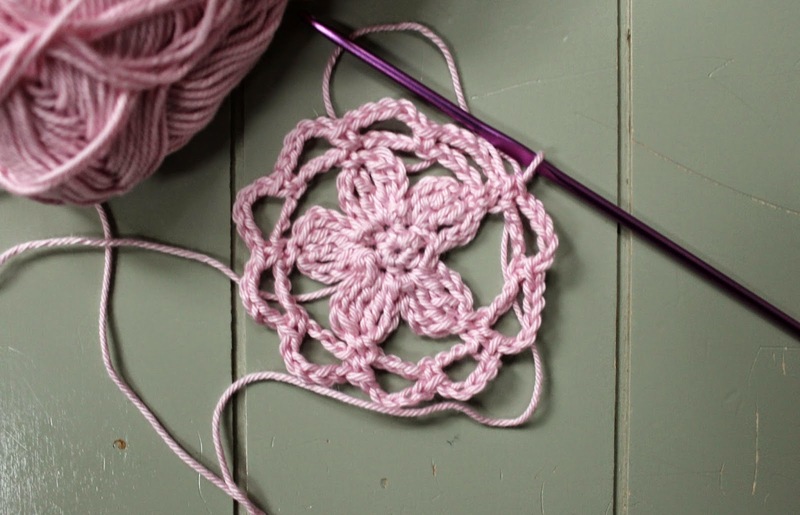 I was also super creative which I felt had been lacking for a while, I really do think creativity feeds off creativity and to be around family and friends I was really inspired to get crocheting. In the end I designed two new items (eek!!). Here is a little sneak peak as I really do hope to write the patterns up ASAP (I know from experience that the longer I leave them the less likely I will be to get it done). Any guesses? As you may have become aware I have been making things from other people's patterns recently, such as this and this, and now these socks by Simone Francis in Simply Crochet issue 26. This was my first ever go at crocheting socks and I loved the pattern. I gave them to my sister as I thought she might be a bit cold coming from 6 weeks in India. These are back on my 'to make' list for a friend's upcoming Birthday. Sadly this little puppy was put to sleep at the weekend. Chloe was a rescue dog and she had been in the family 10 years. Luckily her health went down-hill very quickly so she didn't suffer. I was so glad to have played with her and cuddled her lots over the weekend when she was full of beans and her normal self. This photo was taken a couple of days before she became really ill last week. She has had cancer for a number of years so we were very lucky to have had her in our lives this long. Bye bye Chloe, you are missed. Those socks look so pretty and cosy; I am lucky enough to have a pair of handmade (knitted in my case) socks and they are so comfy! Thanks Rae, I only hope they don't itch!